thereof as y^e Law directs. 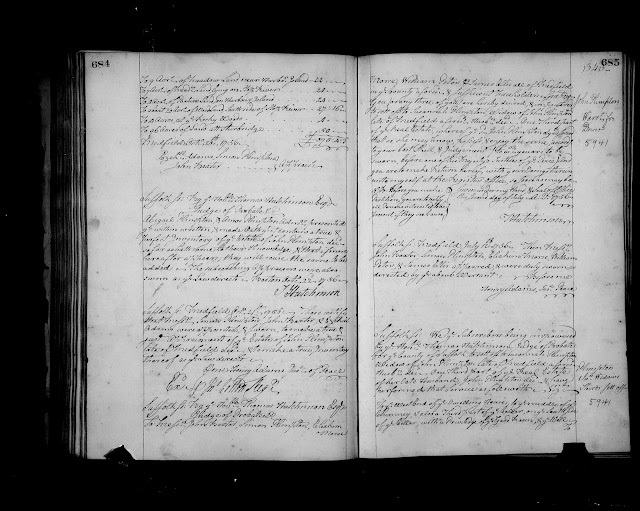 "Suffolk County (Massachusetts) Probate Records, 1636-1899," on 439 FHL US/CAN microfilm reels, FamilySearch (https://familysearch.org), : accessed 19 October 2017),"Probate records v. 50-51 1755-1757," FHL US/CAN film 493,874, Volume 51, pages 683-4 (images 752-753 of 825), John Plimpton inventory, 1756; citing original records in the Suffolk County, Mass. courthouse. John Plimpton (1708-1756) died 8 May 1756, and his widow, Abigail Plimpton, and eldest son, Amos Plimpton, were appointed administrators of his intestate estate on 2 July 1756. In this document, three appraisers were appointed to make a true and just inventory of the estate, which they did. The estate was valued by the appraisers at £375 : 4s : 3d. It included real estate valued at £ 264 : 16s. The personal estate was £ 110 : 8s : 3d. Note that these records are on FHL Microfilm, and are on FHL digital microfilm on FamilySearch.org, but they are not indexed. The Probate Packets have not been filmed to my knowledge, so the researcher has to use the Probate Court Clerk volumes. A researcher has to search the Probate Index for the person's probate packet number, then find the list of papers that are in the probate packet in the Probate Docket files, and then find the individual volumes and pages with the documents listed in the Probate Docket. 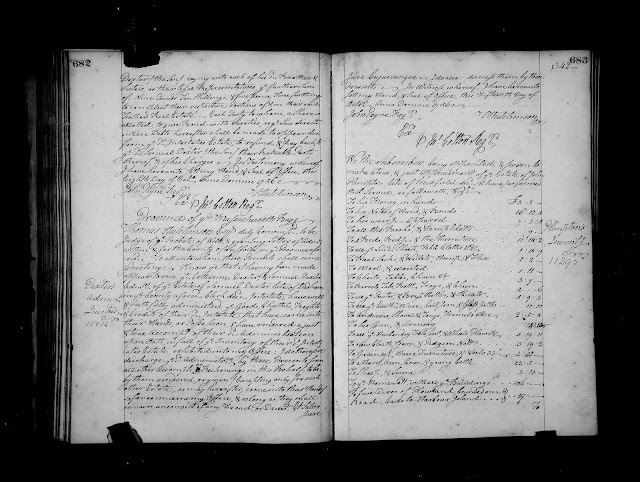 This set of records are not indexed on Ancestry.com in the "Massachusetts, Will and Probate Records, 1635-1991" collection. They are available in the Ancestry collection, but you have to use the Probate Index and Probate Docket files to find the volumes and page numbers (similar to the process on FamilySearch). On the filmstrip, they are in the section indexed for Hannah Newman.